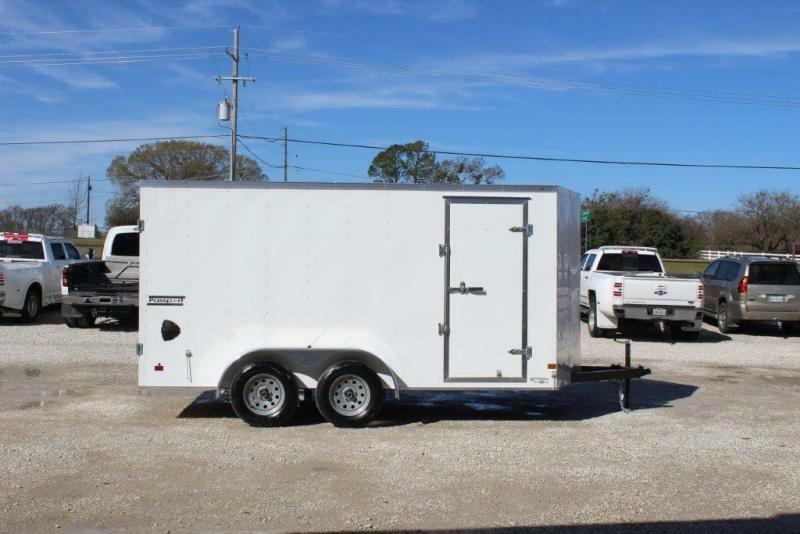 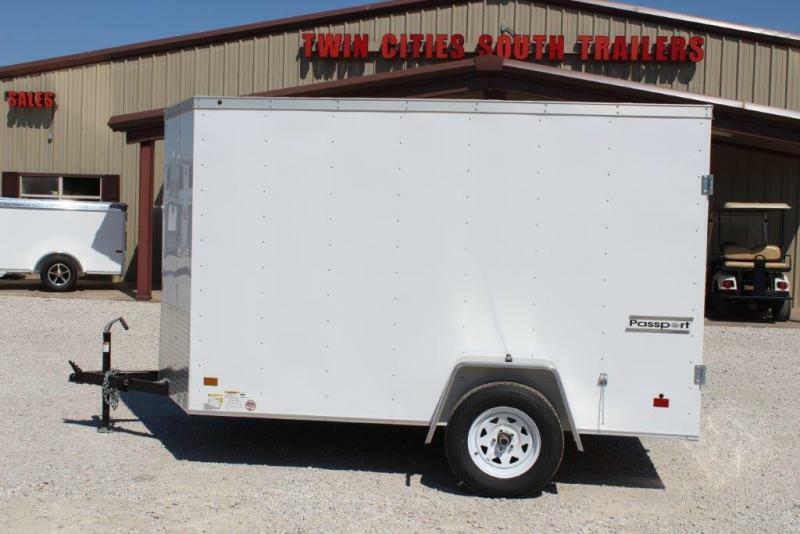 New 2019 Haulmark 7x14 tandem axle trailer, 6'6" tall, lined on walls, side entrance door, gravel guard on nose of trailer, fold down rear ramp, 4 tie downs on the floor, polar white in color. 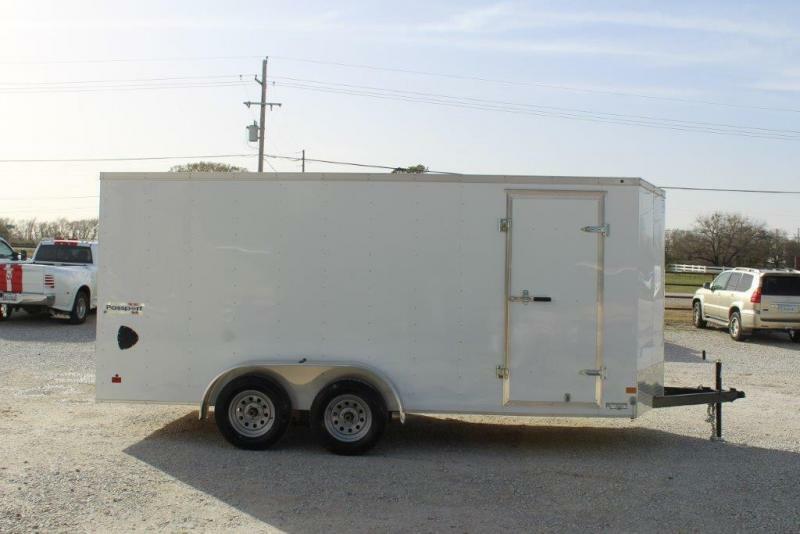 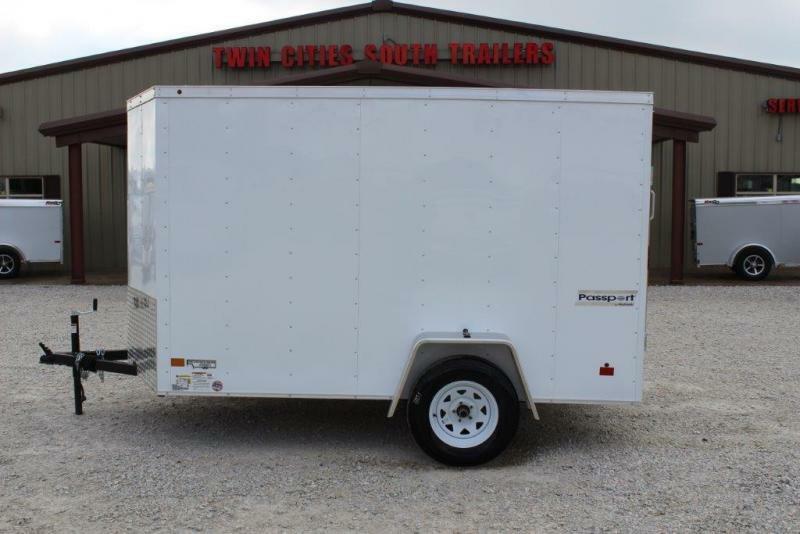 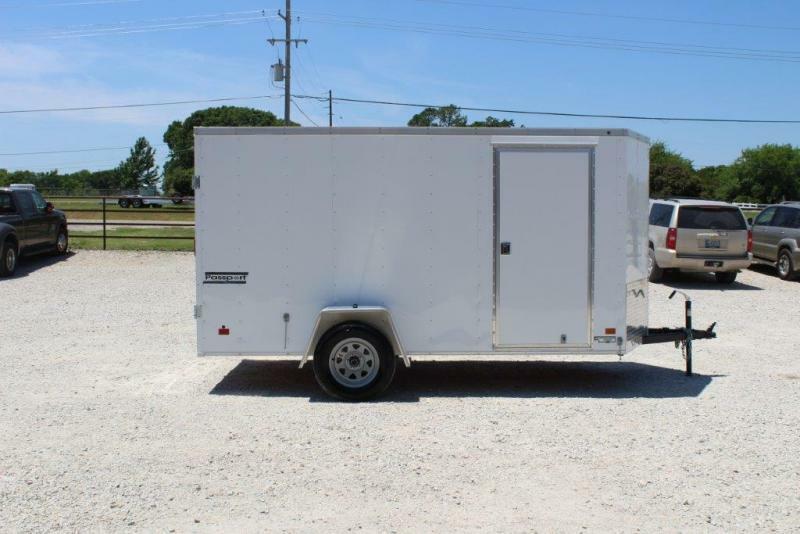 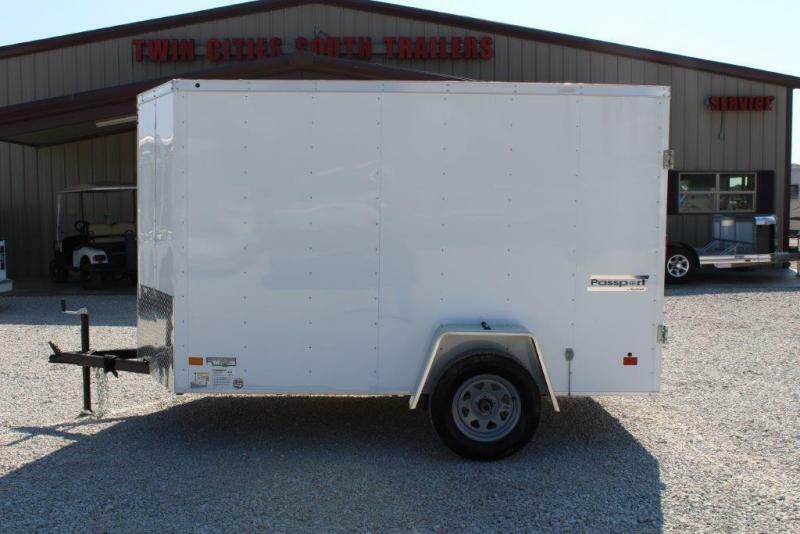 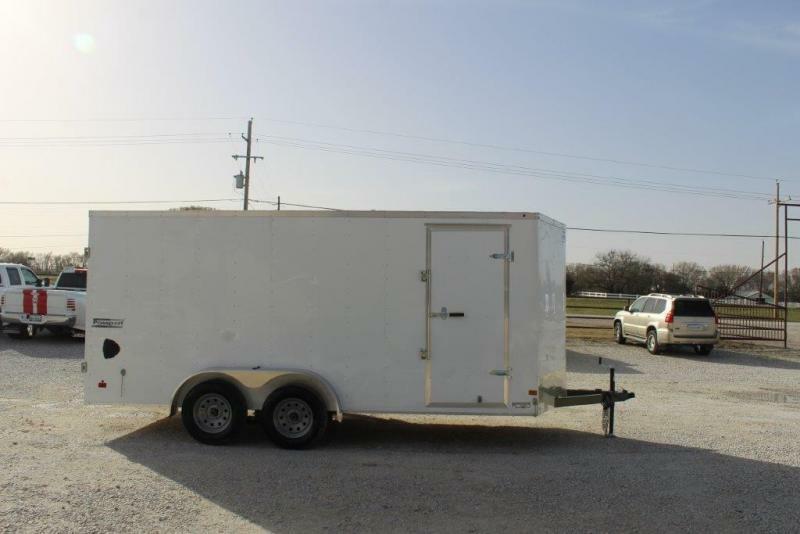 New 2019 Haulmark 7x14 tandem axle trailer, 6'6" tall, lined on walls, side entrance door, gravel guard on nose of trailer, double rear doors, 4 tie downs on the floor, polar white in color. 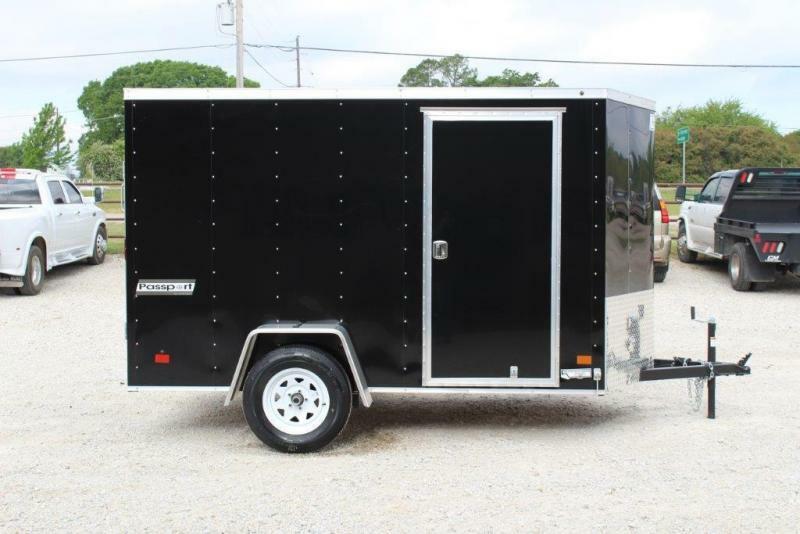 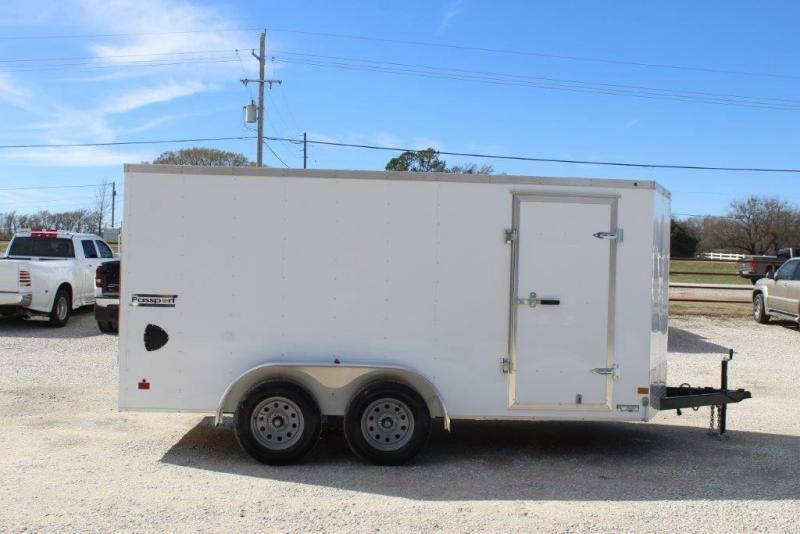 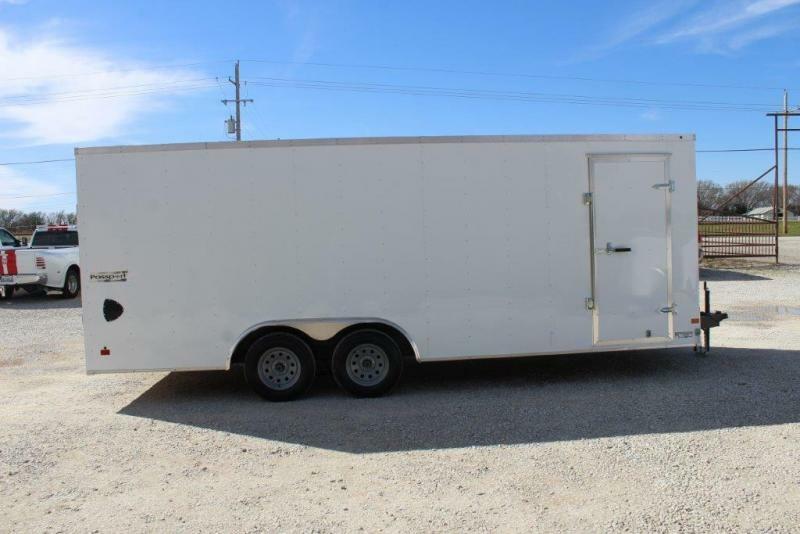 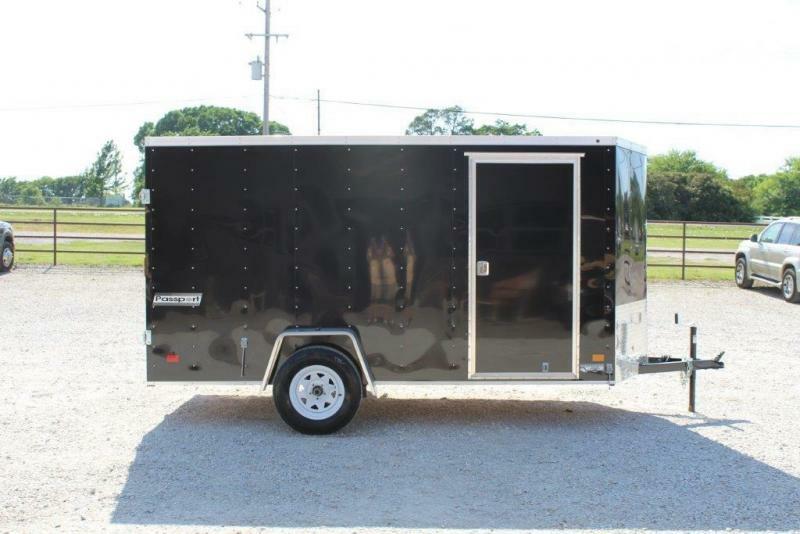 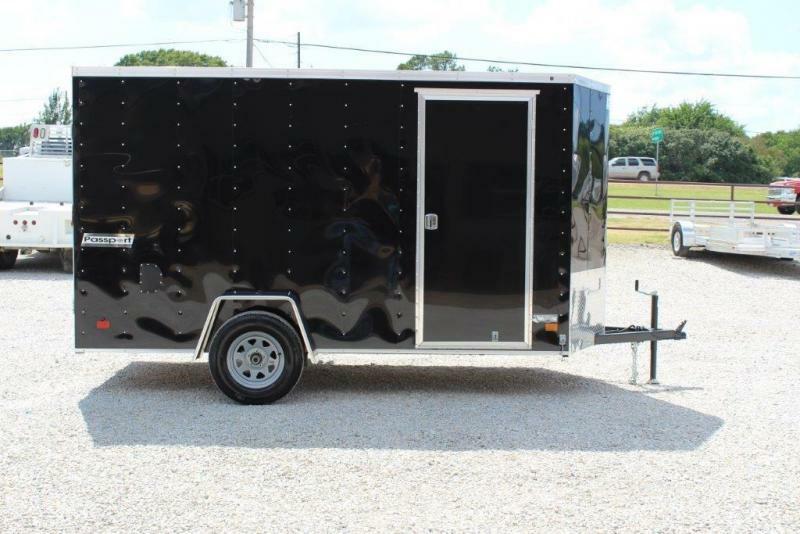 New 2018 Haulmark 6x10, v-front, flat roof, 2" 5000lb coupler, single axle, EZ lube hubs, lined walls, double rear doors, side door on curbside Nice trailer - great price !!! 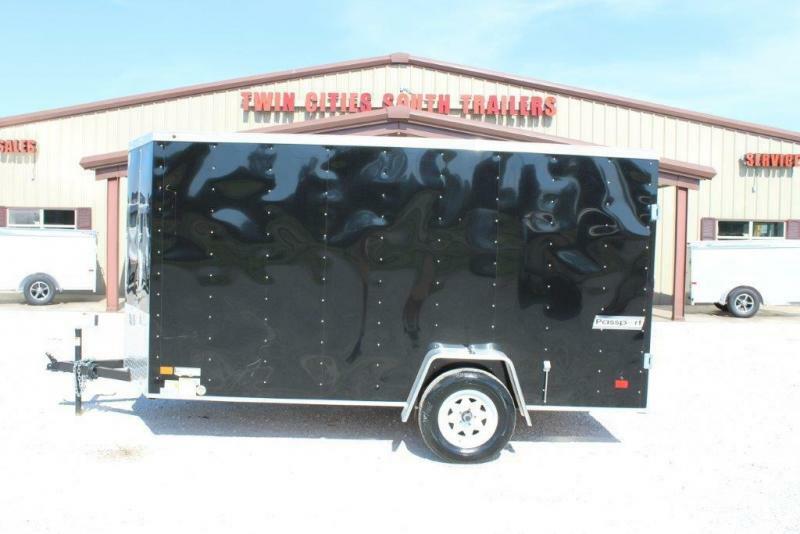 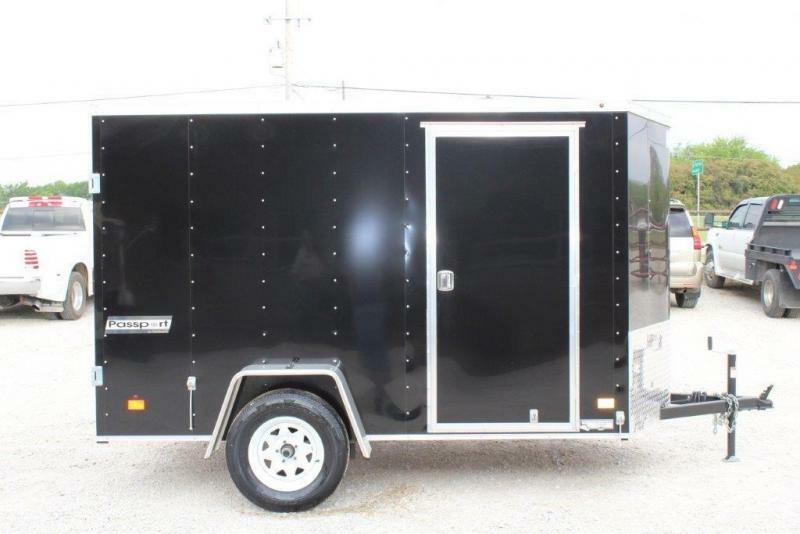 New 2019 Haulmark 7x16 Cargo trailer, wood lined side walls, dome light, side air vents, tie downs on floor, side entrance door, split doors in the rear, tandem axle and gravel guard on the nose. 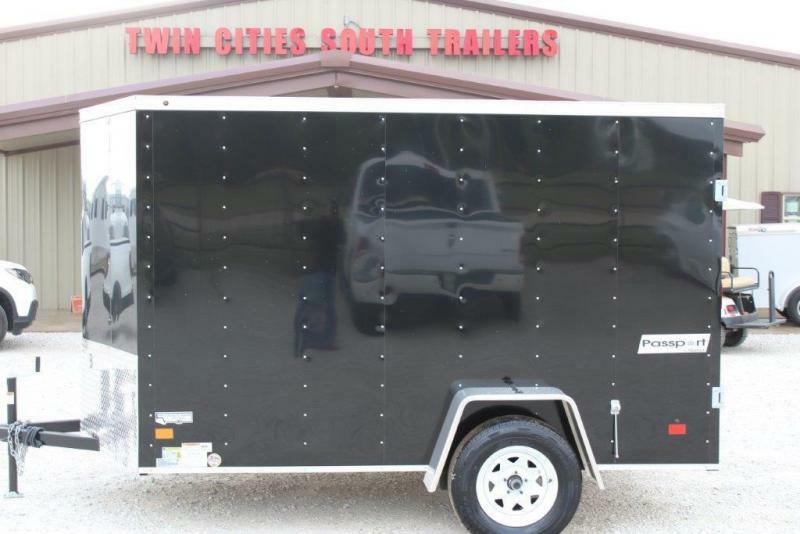 New 2018 Haulmark 6x10 enclosed bumper pull trailer with double rear doors, side door and gravel guard on nose.